EFM advanced case management closed loop process quickly resolve customer issues, rebuild loyalty, maximize productivity, and identify the service failures along the customer journey. 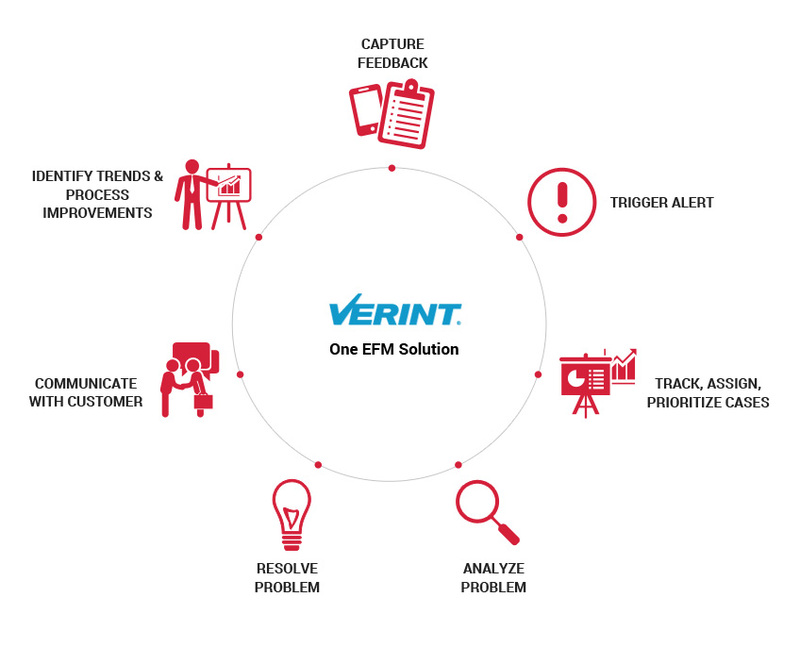 Advanced Case Management, a new feature enhancement to Verint EFM, is designed to help organizations transform from passive customer listening to proactive customer engagement through company-wide action and accountability. These latest enhancements reinforce the importance for companies to manage and scale closed-loop processes as an integral part of their customer experience initiatives.